Mickey Mantle began the 1965 season owning the number five spot on the career home run list. During his decade and a half in professional ball he established himself as not only one of the most talented players to ever play the game, but he had also become the most popular, a man idolized by millions of fans. But 15 years of playing hard both on and off the field had begun to take its toll on the slugger. Yet despite long stretches on the DL throughout 1965, Mickey came back time and again, managing to still hit 19 home runs and make the all-star team. His determination to excel in the face of injury and age only made him more popular to baseball fans. 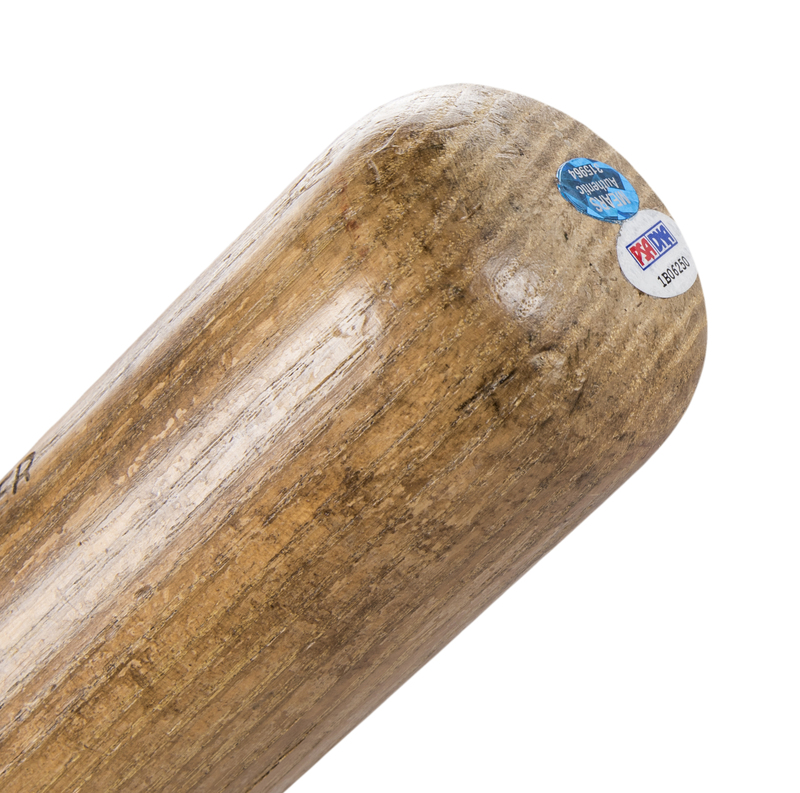 This Louisville Slugger was used by The Mick throughout that pivotal 1965 season. 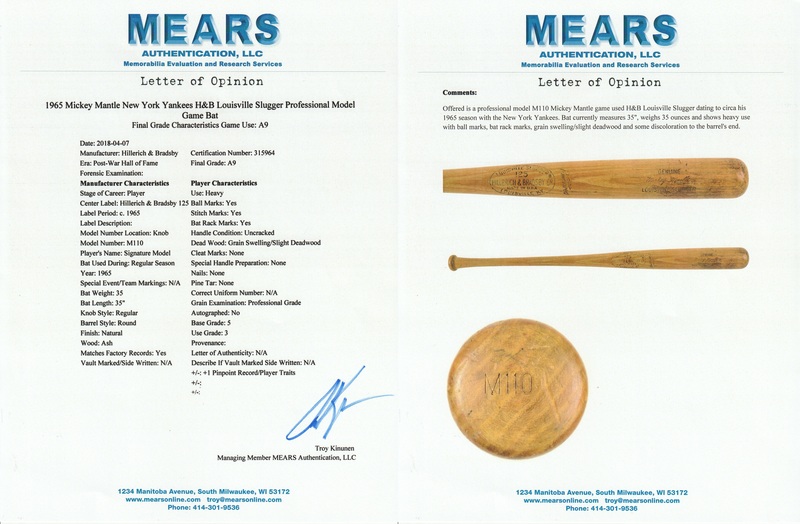 PSA/DNA was able to date the bat through the center brand style (used from 1965 to 1969) and further narrow it down to specifically 1965 by referencing Mantle’s bat orders which show him ordering 34oz M110’s only during that one particular year. 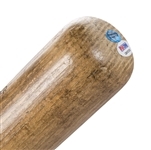 The M110 model Hillerich & Bradsby bat shows outstanding use and is un-cracked. The left, right and back barrel contains many ball marks along with red bat rack paint streaks. 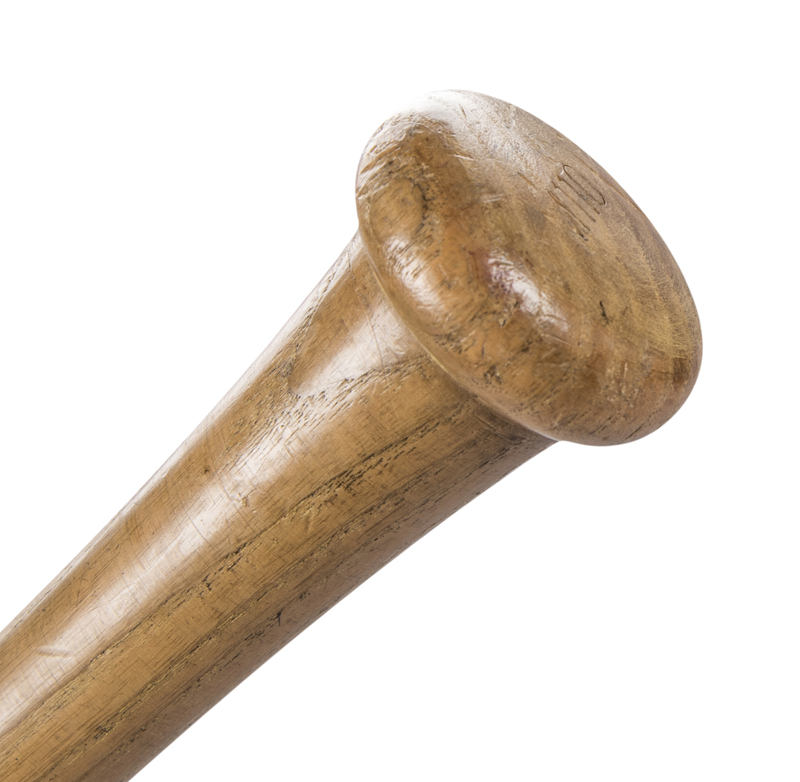 The model number “M110” is stamped into the knob along with the weight “34” hand written in pencil. The ash has aged to a warm, golden hue, making this a very attractive Mantle gamer. 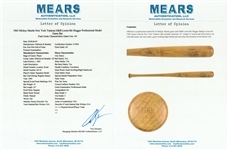 The bat comes with a LOA from PSA/DNA (1B06250), who have graded this bat a near-perfect GU 9 and a LOA from MEARS (315964) for the game use, who have graded this a solid A9.